Hocus Pocus fans will remember the Ropes Mansion as the home of Allison in the movie. The film shot the exterior of the building for the film. The inside shots were done in a studio. The house was originally built in 1727 for Samuel Barnard, a local attorney and businessman. 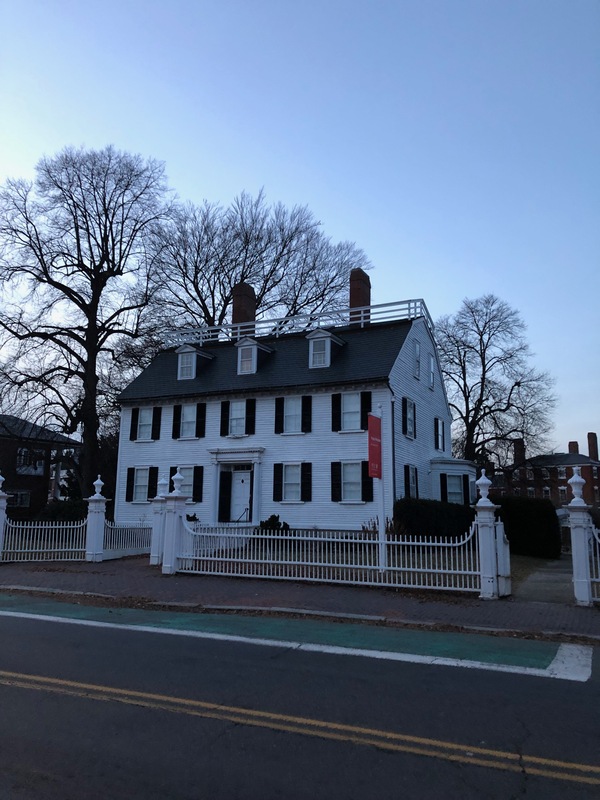 In 1768 Judge Nathaniel Ropes purchased the home for his wife, Abigail and son, Nathaniel Jr. Ropes was a local attorney who worked his way up to the level of judge on the Superior Court. He became a polarizing figure in Salem after accepting a salary paid for by the proceeds of a controversial tea tax. Even though he later stopped taking the salary and resigned his position on the court the damage was done. Ropes was seen by Salemites as loyal to the crown. In early March 1774 smallpox was ravaging Salem. Judge Ropes came down with the disease and was bedridden for days. On March 17 as word spread about Judge Ropes condition a rumor went around town that he had received a special inoculations sent from England. Already enraged about the unfair taxes a mob gathered around his house to protest. As strangers pelted his house with rocks and sticks Judge Ropes died in his sleep. A year later Abigail Ropes died when her robe caught fire as she was carrying hot coals to an upstairs fireplace. Her servants had gone to bed for the night and didn’t hear her screams and she burned to death. After Judge Rope and Abigail died the Ropes Mansion stayed in the family until 1907 when it was turned into a museum. The ghost of Abigail and Judge Ropes are said to still reside in the home. Doors have been known to open and close on their own inside the museum. The alarm has also been known to go off in the middle of the night for no reason. Locals claim to see the ghost of a woman looking out a second story window at night. Some of the former staff members have claimed to hear screams late at night on the second floor. To learn more about the Ropes Mansion as well as over 30 other haunted places in Salem check out the Salem Ghost Map in iTunes!